You name it you will see it here — from the latest in powerboats, sailboats and engines to cutting-edge marine electronics and accessories to the best in nautical gifts, services and apparel. The 5-day event is your once-a-year chance to compare makes and models, and gear up with the latest accessories all at one time. We offer a unique, tailor-made experience for Miami Boat Show at Miami Marine Stadium Park & Basin on 16-20 Feb 2017. Our hospitality team is available 24/7 to provide an exceptional level of service for this event, as well as catering for the finest options in Miami entertainment, accommodation, close protection and transportation needs. 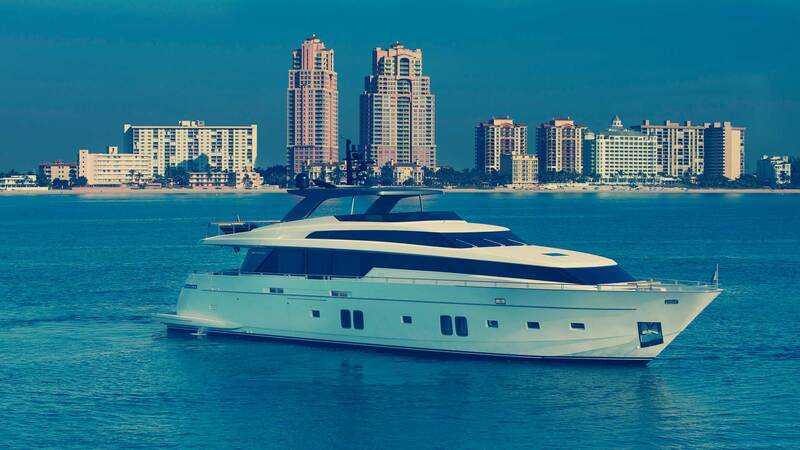 Access the most desirable and preferred seats at Miami Boat Show. Beyond the boats and booths special events, attractions and activities celebrate the boating lifestyle and offer entertainment for everyone. For more information on our bespoke hospitality experience packages for the Miami Boat Show in February 2017, please contact our hospitality team today. Looking for more privacy? Ask us for a luxurious serviced apartment in Miami. Feeling the need for speed? Let us find the perfect automobile for you in Miami.